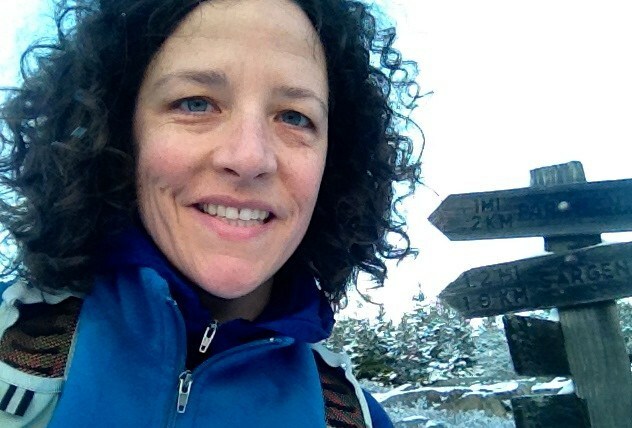 Dr. Karen James is a staff scientist at the Mount Desert Island Biological Laboratory in Maine. She received her PhD in Genetics from the University of Washington and conducted postdoctoral research at the Natural History Museum in London before joining the MDI Lab. Karen is also Co-Founder and Director of UK-based charity The HMS Beagle Trust which is working to rebuild the HMS Beagle and retrace the journey of Charles Darwin with a new generation of students and scientists. Karen is with us today to tell us all about her journey through life and science. Karen spends her free time outside on the trails of Acadia National Park near where she lives. She does a lot of gardening, hiking, biking, and cross country skiing to get as much time outdoors as possible. As a scientist, Karen is trained in genetics, and she applies her skills to environmental, conservation, and restoration research. In particular, Karen uses DNA to identify animals and plants, including those collected by citizen scientists for conservation and restoration projects. Growing up, Karen spent time at her grandparents’ cotton farm in Texas. She remembers collecting tadpoles from the irrigation ditch and watching them grow into frogs. These early exposures to plants and animals were really important for cultivating her interest in nature and how it works. We couldn’t help chuckling at some of the hilarious assertions she had made as a child about how the world works. During graduate school, Karen was trying to determine how expression of a particular gene was affected by removing another gene. To do this, she had to use a complex, multi-step procedure that took about a week to complete. She tried time and time again for over six months and could not get it to work. She was starting to worry about whether she would have to abandon the project. Karen was able to turn her challenging time in graduate school into a success by coming up with a different approach to answer the original question of the failed project. Ultimately, she never did get the initial procedure to work, but by being adaptable, she successfully answered her question with the new approach. The opportunity of a lifetime arose when Karen found out about a program through the Wellcome Trust where she could travel (for free!) with a group of high school students to the Galapagos Islands. She was able to spend nearly two weeks there visiting four different islands. One of the highlights of the trip was standing on the same beach on San Cristóbal Island where Darwin made his initial landing! As a graduate student, Karen and a fellow lab member spent much of their time working in a dark little room with no windows. It seemed a little like torture, so they decided to improve the situation by brightening up the space. Namely, painting one of the walls bright orange. They crept into the lab with painting supplies after dark when no one else was there. Everyone was shocked the next day, but the two of them played it cool and never got caught! There is no one person at the top who has some secret knowledge, experience, or answers. We are governed by a fellowship of amateurs, and though there are people out there doing extraordinary things, they are all ordinary people at the end of the day. We’re all just making it up as we go along. Karen works at the intersection of research, education, and outreach to adapt DNA-assisted species identification (DNA barcoding) for use in projects involving public participation in scientific research (citizen science). She aims to help increase humanity’s capacity to understand and manage how environmental change affects the diversity and distribution of organisms. Karen is also co-founder and director of UK-based charity The HMS Beagle Trust. They are working together with their sister charity in Chile, La Fundación Beagle, to rebuild HMS Beagle – the little ship that carried a young Charles Darwin around the world and inspired his lifelong passion for science – and retrace her famous voyage with a new generation of scientists and students aboard.